Protecting what’s yours since 2001. WHY DOES RISK SECURITY & INVESTIGATIONS STAND OUT AMONG ALL THE OTHER SECURITY COMPANIES? Whether we’re securing schools, professional buildings, hotels, hospitals, shopping centers or high profile events, we know how important our job can be to insure the safety and well being of our clients and those who have entrusted us with their security needs. We focus on the problems that keep our clients up at night. We provide a full spectrum of skilled, professional security personnel dedicated to protecting our clients most valuable assets. Our uniformed and plain-clothed security professionals are available in Michigan and Tennessee. 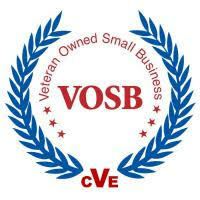 As a veteran owned small business (VOSB), certified by the U.S. Department of Veteran Affairs, we take great pride in recruiting U.S. military veterans to join our team. We believe that if a man or woman can fight to protect our liberty and freedom, they most certainly qualify to protect the assets of our customers. . The role of uniformed security officers has never been more critical or more demanding. Our security professionals think proactively and react appropriately to any, and every, threat.